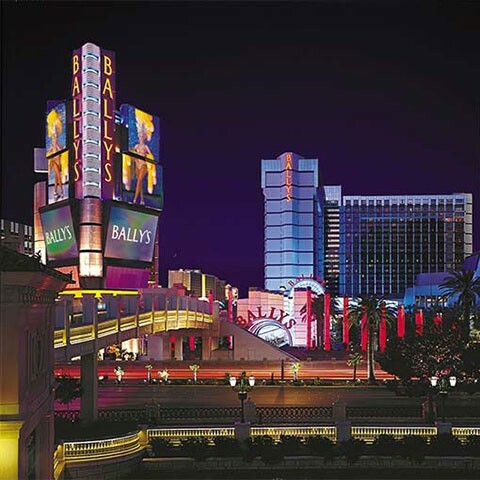 Bally’s Las Vegas is ideal for those who appreciate classic hotels in Las Vegas, right in the center of the Strip. While it captures the feel of Old Vegas, these rooms have upgraded room amenities like flat-screen TVs, docking stations and pillow-top beds. Stay in the stylish Jubilee rooms featuring red patterned accent walls and rich woods. Join the excitement and experience classic Las Vegas at its best. Bally’s features popular Vegas casino games, modern slot machines, poker and much more. Enjoy all the classic Las Vegas casino table games including roulette, baccarat, craps, and poker in a welcoming atmosphere. Poker games include Five Card Stud, Pai Gow, Let It Ride and so much more. Inside the comfortable 24-hour keno parlor, kick back and choose your lucky numbers. Bally’s Las Vegas also offers the latest in slot reels, progressives, video poker. Enjoy some interactive competition and go head-to-head on a timed slot tournament.